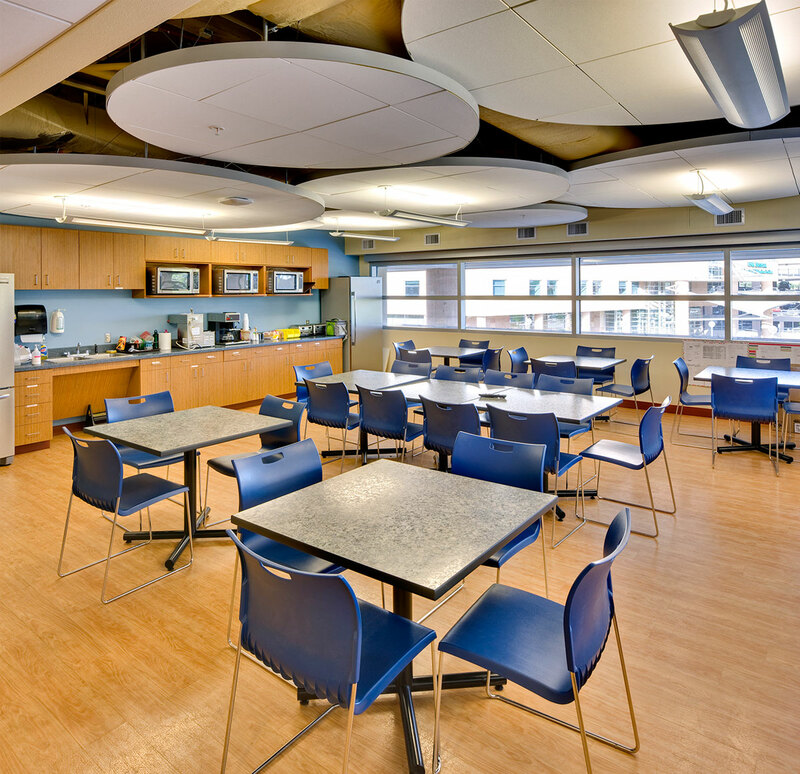 The UNMH Anesthesiology Office Suite is located on the second floor of the West Side of the existing Critical Care wing of the University Of New Mexico Hospital. The purpose of the project was to relocate Anesthesiology staff from the HSC campus north of the hospital to a location closer to the hospital’s emergency room. 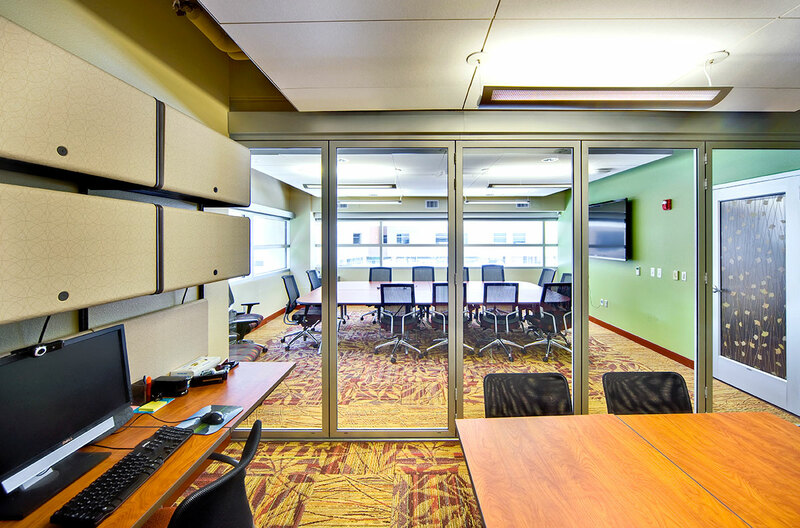 Space constraints dictated a more innovative approach to office space, where instead of individual faculty members each having individual offices, appropriate faculty convene in a collegial and collaborative main faculty area as needed. 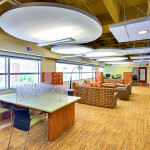 The buildout area of this project is 4,288 Departmental Gross Square Feet. 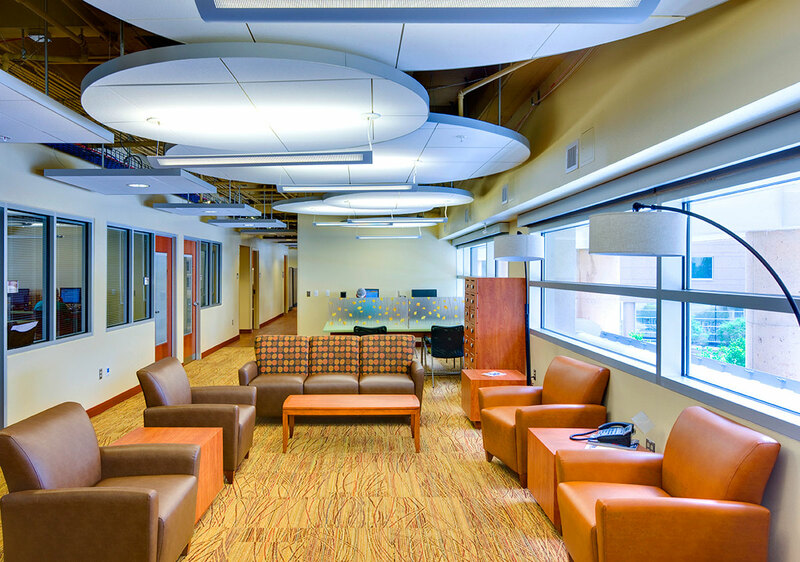 The open floor plan and choice of finishes and furnishings have positioned the Anesthesiology Department Remodel as a showcase to other departments. 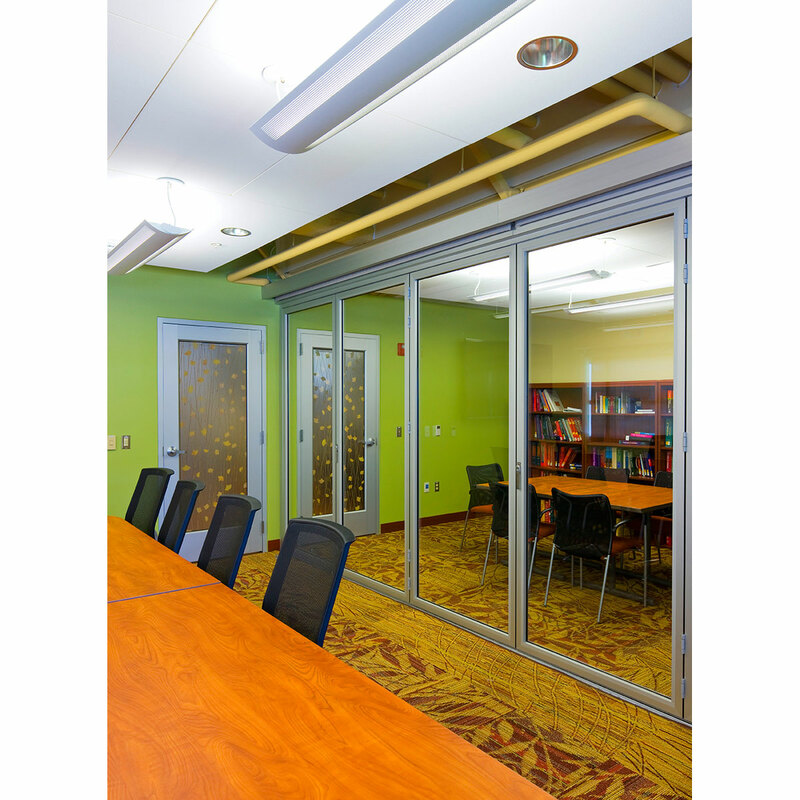 It gives other departments a different sense of how space can be used to accomplish a department’s goal. Ultimate regulatory approval for the project included the State of New Mexico Department of Health (NMDOH). 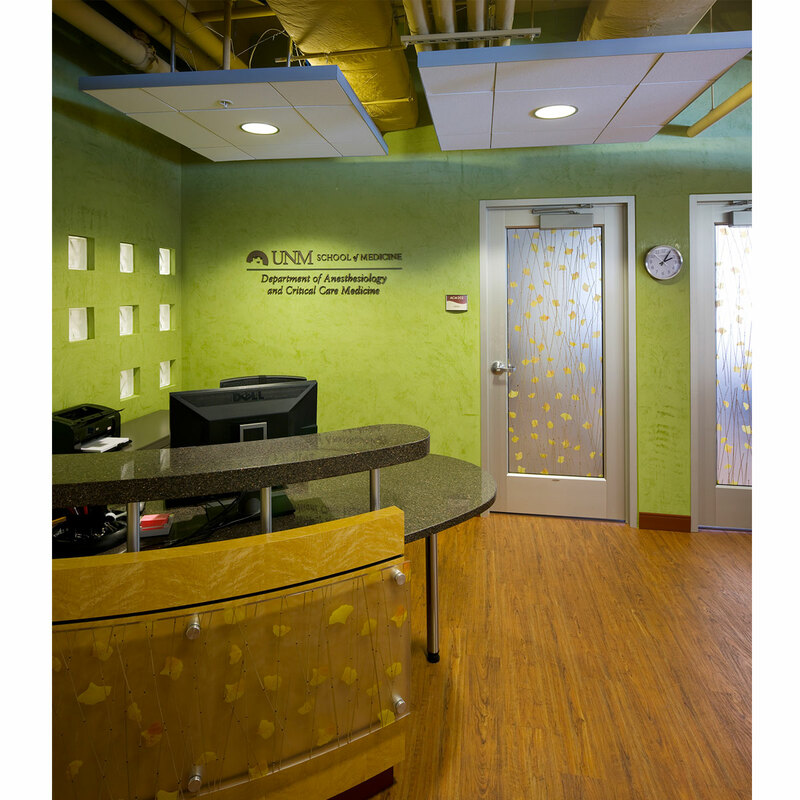 This project was not required to be LEED certified.